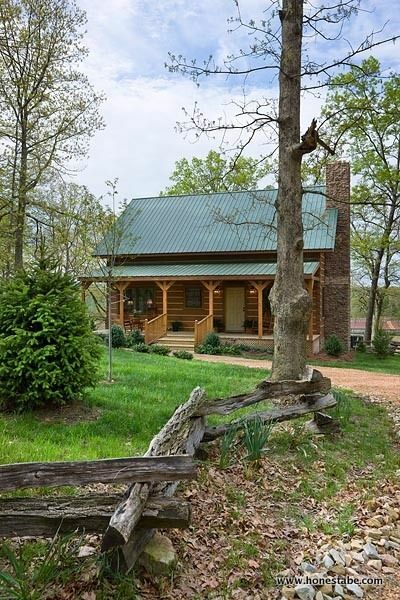 Functional simplicity is at the heart of a rustic lifestyle, and many modern log homes are expertly crafted with intelligent space-efficient design to maximize on often smaller floor plans. 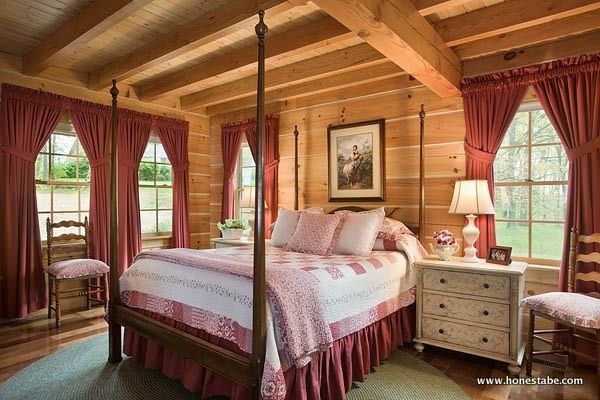 Log homes are customizable and can be tailored to suit the individual needs of your family. 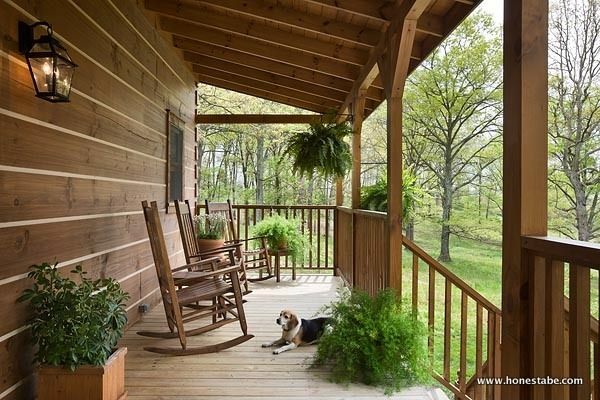 The Clayton Log Cabin by Honest Abe Log Homes is a two-story abode offering 1,726 square feet of flexible living space. The custom model we are featuring today has a wonderfully creative surprise inside, which is an inspirational use of the adaptable floor plan and is ideal for the modern American family. 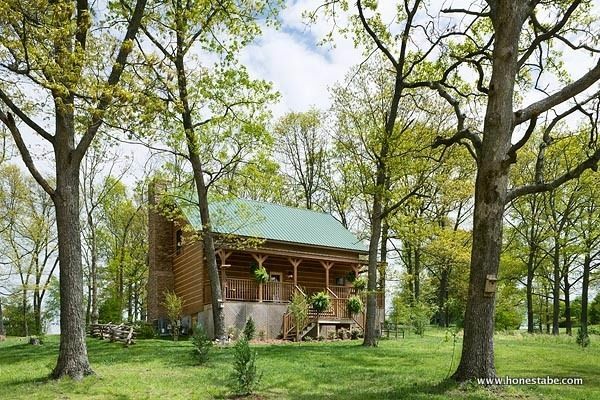 The Clayton Log Cabin is designed with the traditional style of a historic home from the early settlement period. Modern construction materials - including square-chinked logs - ensure this 'old world' cabin is built to contemporary standards. 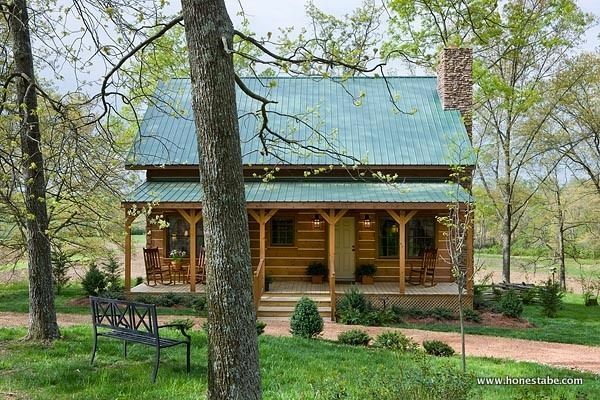 Let’s take a look inside this completed custom Clayton Log Cabin, we think you will agree, this charming log home has a lot of rustic character. The living room is a pleasure to spend your time in. Large windows ensure that by day the home is filled with natural light, whilst the attractive stone fireplace becomes the centrepiece of a cozy cabin at night. 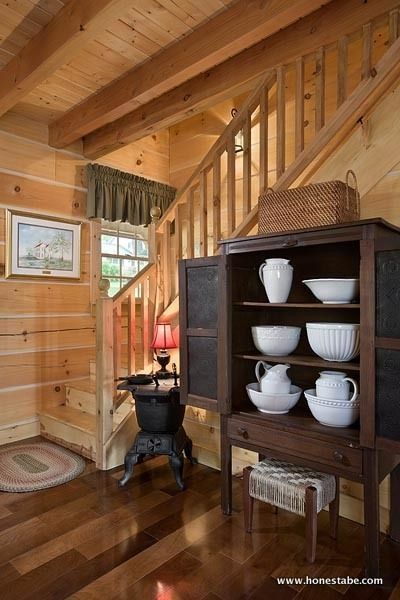 The Clayton Log Cabin is finished with hardwood floors, attractive wood paneling, and a high beamed ceiling. 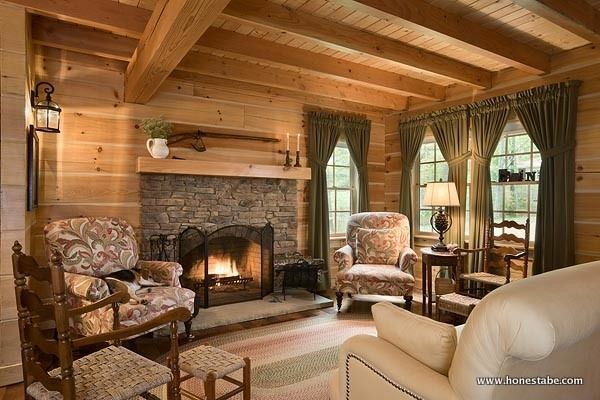 The air in the house is fresh, with the constant and unmistakable smell of wood. The living room has access to the open kitchen/dining area. The kitchen has been designed to remain in keep with the tone of the house. Dark wood cabinetry and black appliances add to the rustic nature of this log home, whilst remaining functional for a modern family's use. The ground-floor bedroom benefits from the large windows and high ceilings that run throughout this charming house. 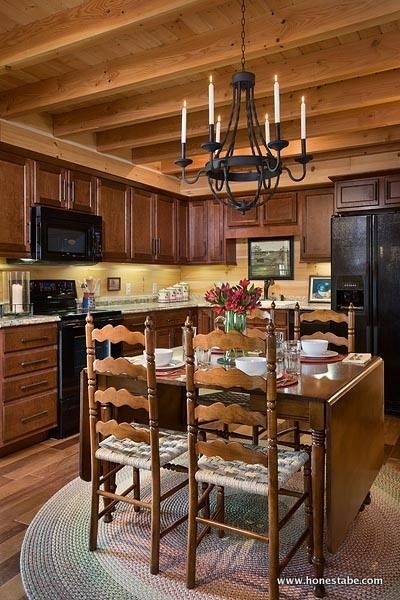 In our custom example, you can see how traditional furniture perfectly accentuates the wood of a log home. ...no, wait! 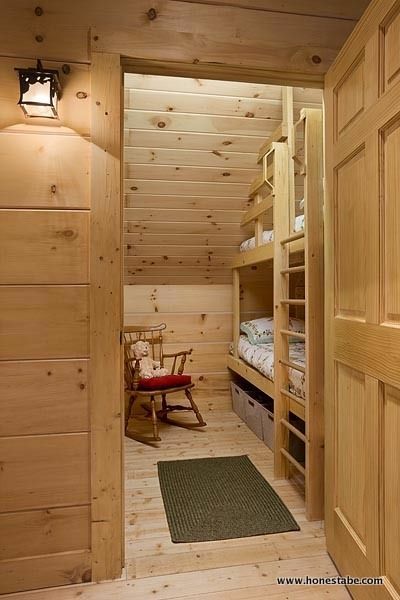 This bonus room features a separate nook with bunk beds, giving plenty of private space for up to six children! In this custom model, the owner opted for a bedroom as their second bonus room. 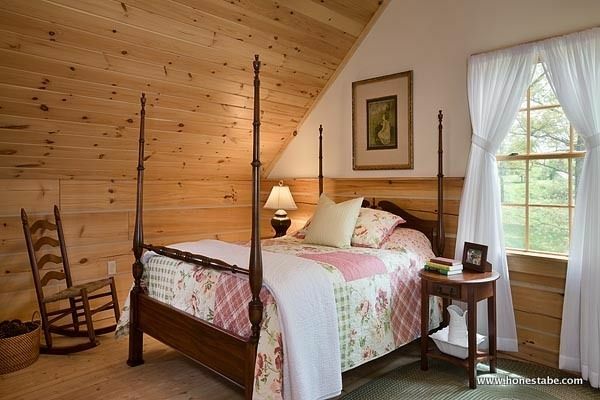 As you can see, it is spacious, bright, and is much larger than the ground-floor bedroom. 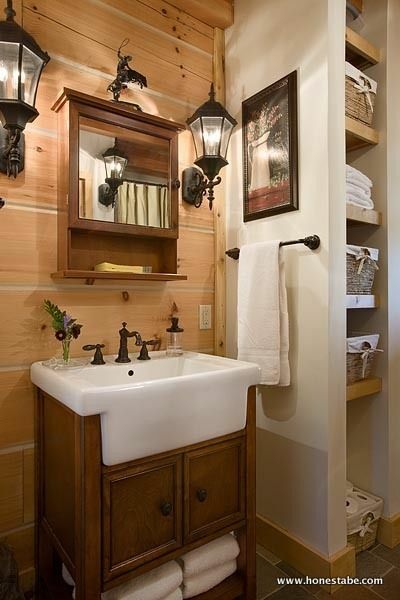 The upper level also features a full bathroom with a tub. The rustic lifestyle is about enjoying the outdoors during the day, but in the evening, a smaller living space can become difficult, especially if you have a large party. 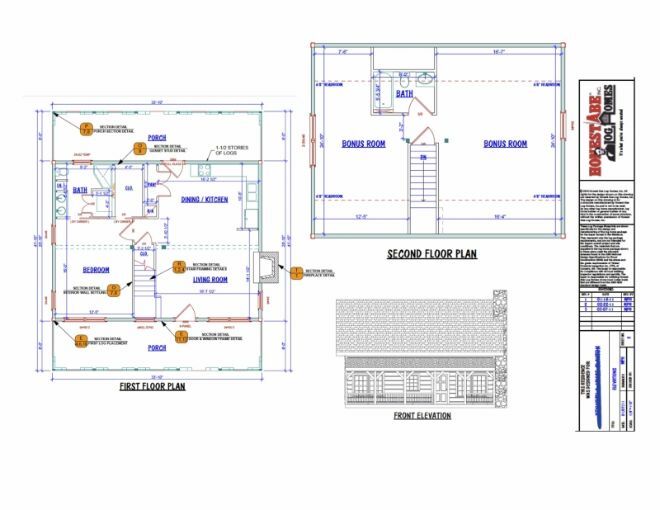 This custom home is a fantastic solution to this problem, with a practical layout for four adults and six children. 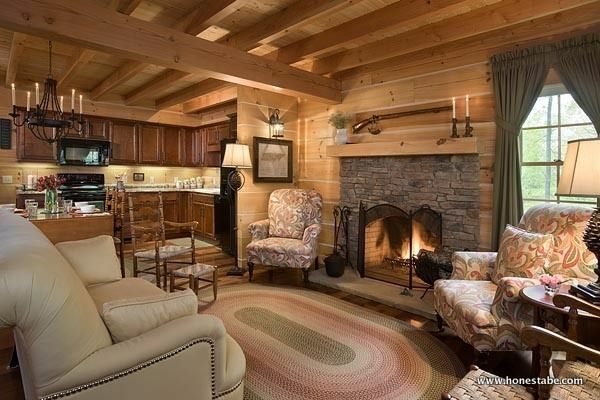 The Clayton Log Home is a modern and practical example of how contemporary construction techniques can embellish a classic design. 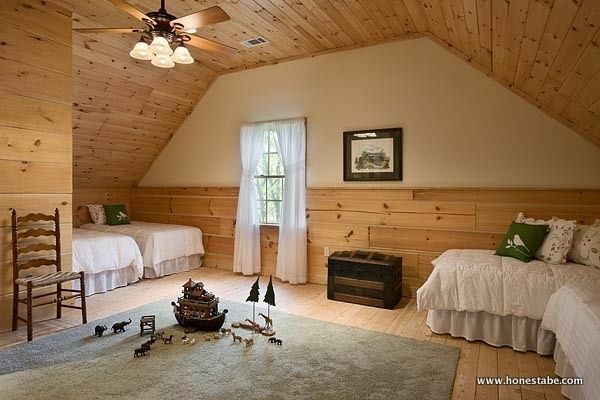 With spacious dimensions, how would you utilize the bonus rooms? 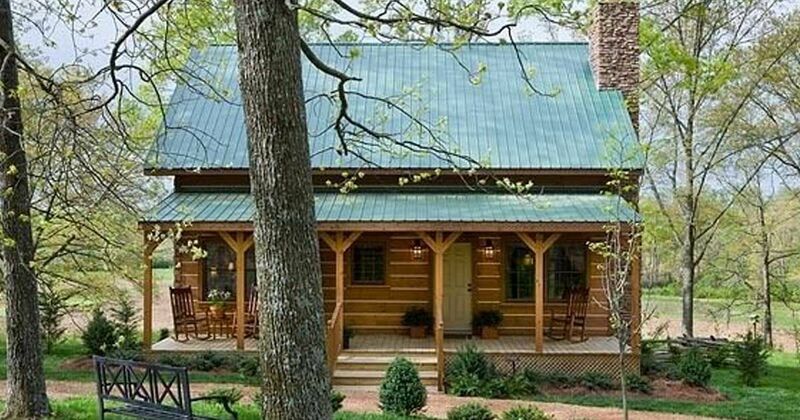 Share this great log home on Facebook. Comment to tell us your ideas for the bonus rooms.